A commemorative and busy weekend for Team Penske, with major races in NASCAR, IndyCar, and IMSA. Team Penskehas further solidified its status as one of the pillars of North American motorsports by celebrating its 2,500th race start since the racing organization was founded in 1966 by Roger Penske. The historic milestone was accomplished by the team's NASCAR Xfinity racing driver Austin Cindric, who made the 2,500th start in Saturday's race at Bristol Motor Speedway. The 19-year-old driver from Columbus, Ohio enjoyed a fairly smooth time behind the wheel for most of the 300-mile race, at least until one of his rivals crashed him from the rear on the very last lap. With just one corner to go, Tyler Reddick bumped his No. 9 JR Motorsports machine into the back of Cindric, forcing him to limp to the line and finish in seventh place. 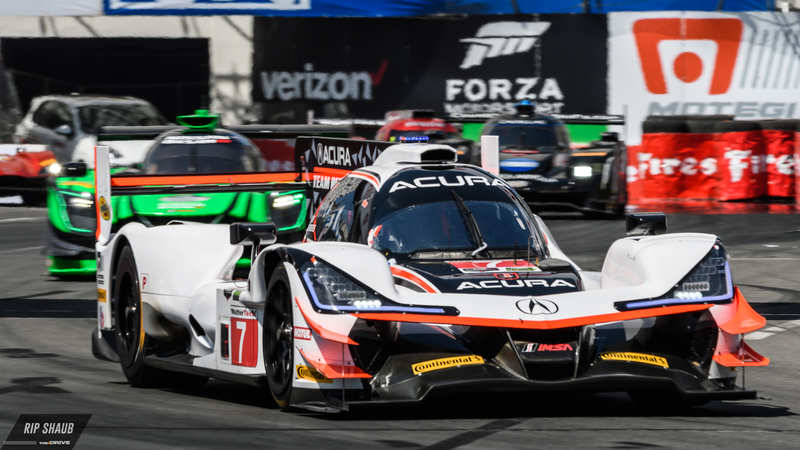 It wasn't just NASCAR that kept "The Captian," Roger Penske and his championship-winning organization busy this weekend, as his IndyCar and Acura IMSA WeatherTech SportsCar Championship team were also present at the always nerve-wracking Grand Prix of Long Beach. The Captain's IndyCar star drivers Will Power and Josef Newgarden finished in second and eleventh spot, while Simon Pagenaud had to retire due to contact. Interestingly enough, Helio Castroneves, the only active Penske driver to rank in the top five for most starts for the team didn't compete at the wheel of an IndyCar in Long Beach for the first time in decades, but inside the cockpit of the new Acura ARX-05 race car. The Brazilian ranks third with 312 race starts for Penske, with Rusty Wallace in the lead with 497, Brad Keselowski 444, Ryan Newman 303, and Sam Hornish with 299 in both IndyCar and NASCAR. Another astonishing statistic about the organization's history within the sport is the number of manufacturers it's competed under. 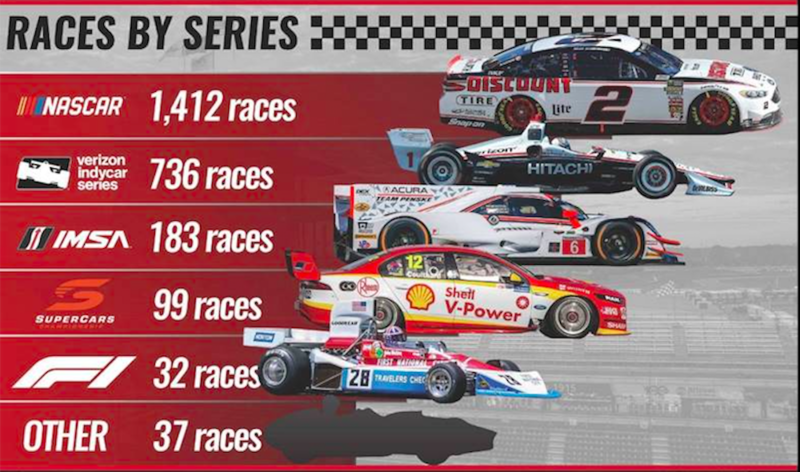 According to an infographic created by the team, a total of 18 manufacturers have raced under the Penske name, including Ferrari, Porsche, Chevy, McLaren, Mercedes-Benz, Honda, Ford, Cosworth, Toyota, Dodge, Riley, Dallara, Pontiac, and more. With May around the corner, there's no doubt that Penske and his entire team will be focused on adding a 17th "Baby-Borg" (the take-home version of the massive Borg-Warner Trophy) to his trophy case, as well as maintaining his title of the most successful team in the history of IndyCar. Brad Keselowski's No. 2 team will honor one of its former drivers with its throwback paint scheme for the Southern 500. IndyCar rookie Robert Wickens amazes once again with a second-place finish on his second career start.